A funeral/burial is the opportunity for a family to reflect and celebrate a life that has been lived. There is no single proper funeral service. It is a time for human sharing in its deepest sense. You and the ones you love are at the very center of the process, and as you participate in the planning of the funeral service, you help create a meaningful experience for everyone. Please inquire with us to help you with a future planned funeral or immediate need. Traditionally, the funeral will be a Complete Funeral Service. This includes a family or public viewing of the deceased. Following this will be a service, typically in the church or at the funeral home. This would be followed by the earth or above ground burial. Caskets selected may cost from several hundred dollars to several thousands of dollars depending on the material the casket is constructed of. Many cemeteries require that a minimum grave liner be used to encase the casket when earth buried. These minimum liners are constructed of concrete and are designed to hold the weight of the earth, maintaining the cemetery property. A sealed vault may also be used. The vaults are also constructed of concrete and are designed to not only protect the gravesite, but are manufactured with inner liners that not only restrict the entrance of graveside elements (water and earth) but increase the strength of the vault. The Graveside Service can be another selection. This would often follow a time of visitation at the funeral home. The casketed remains would then be transferred to the cemetery where a graveside ceremony could take place followed by the burial. 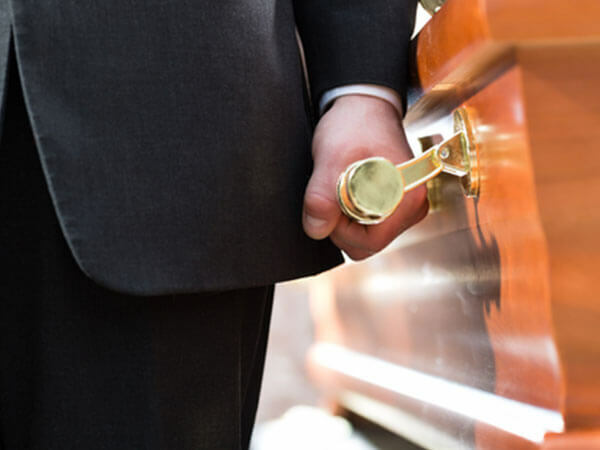 We are able to create any type of funeral that you wish. Please take time to visit with us so we can provide your family information ahead of time.